India Hicks Review: Is This Direct Sales Ambassador Opportunity for You? If you have heard of Stella and Dot, then you are familiar with the business model that India Hicks’ uses. Ambassadors host or organize parties or “get together” to show off merchandise. At the party, they take orders and then afterwards ship the products to the customers. India Hicks started her multi-level marketing company in 2015, so it is still fairly new. Coming from British royalty, India Hicks moved to the Bahamas 20 years ago and now incorporates the Island life mentality into her brand. India Hicks markets everything from bags to accessories to tokens to scarves and bags. These are high-end and high-quality products. Average prices range from $16-480, but at least half of the items cost less than $100. Compensation is based off a commission and it increases the more and more money you make with the program. When you first start out, you get 25% commission. The more you sell, the more you earn with their lucrative bonus program. You also can earn more by referring others to the business and building a team of your own. On average, new ambassadors made $350 in commission in their first 40 days. To get started, you must purchase a kit that ranges from $99 to $749. Each kit includes a small collection of items to help get the business started, including catalogs, order forms, fabric swatches, and marketing materials. Also included is a small selection of items that are priced at 60% retail value. The smallest kit you can purchase is “The Baby” at $99, with a $124 retail value and you can also buy 3 additional items at 50% off. The next level “The Booty” costs $449 to purchase but has a retail value of $1475. You can purchase 5 additional items at 50% off. The “Big Kahuna” costs $749 with a retail value of $2175. 10 additional items can be purchased at 50% off. The Booty and the Big Kahuna both include jewelry, accessories, and beauty products to help you sell. The products can be incorporated into your own daily wardrobe to start a conversation about India Hicks, helping you sell more! A replicated website is provided at $12.95 a month. The first month is free but after that, your credit card will be charged automatically. This subscription also includes access to the “Back Office” system, which is where you can find training material and other resources. India Hicks does not require you to sell a certain amount per month. However, you are free to cancel at any time. India Hicks will buy back all marketable inventory, sales materials, kits and tools at 90% of the original net cost for up to a year after you join. 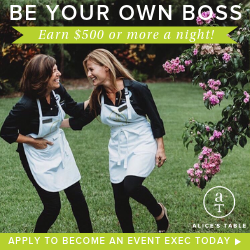 By adding members to your team, you can potentially earn bonuses based on their sales. Ambassadors are able to earn around 5% commissions on the sales of their team. Ambassadors earn a 10% Product Credit every month they are actively selling on India Hicks. Products are available for purchase at discounted rates. The discounts increase the more you sell. New ambassadors at India Hicks can expect a high level of support from the team. There is a new base camp training that helps and supports new ambassadors in the first three months of selling. There are online and live training sessions and a wide variety of resources available online. On the website, India Hicks has posted videos explaining each and every product, making it easier for you to understand and sell the products. You also are connected to a sponsor, who can help walk you through any problems you may have. They also provide online and phone support. There are no location or age restrictions to be an ambassador for India Hicks. She is looking to inspire women and help those who are self-starters. If you are interested in learning more about becoming an India Hicks ambassador, check out their website.